It is no secret. We love sushi! We eat it frequently. What you might not know, is that we love to make it at home! Making sushi can be challenging but fun. Having made it home quite a few times, we have picked up some tips, tricks, and ideas along the way. 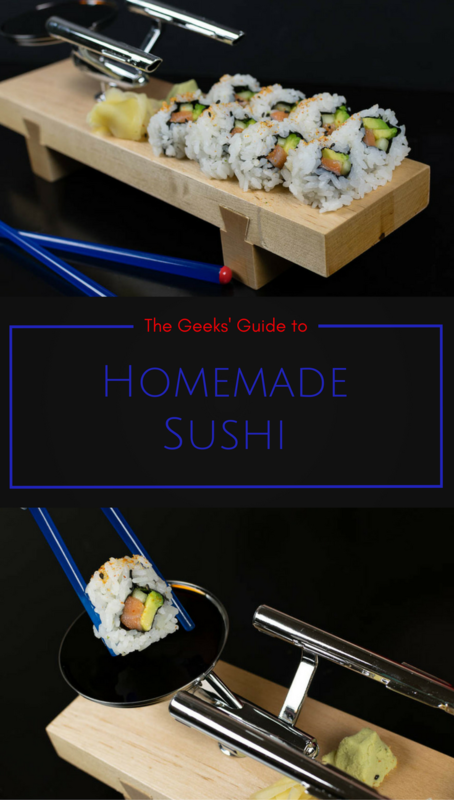 Below is our guide to making delicious sushi at home. Be sure to read all the way to the bottom for a fun giveaway! 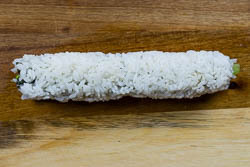 Good quality rice should stick together but you should be able to notice each individual grain. It shouldn’t be too dry, too mushy or too pasty. You don’t want to overfill your rolls. For a standard roll, you should use about 3 oz of rice, 1 oz of filling and whatever vegetables you are adding. 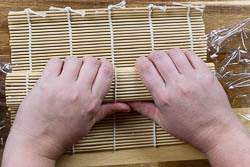 Roll by hand and then shape with the bamboo mat (this is where we went totally wrong in our first home attempt). 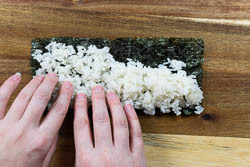 Below is a guide on how to roll your sushi. We also have a fun giveaway to get you started on your homemade sushi experience. 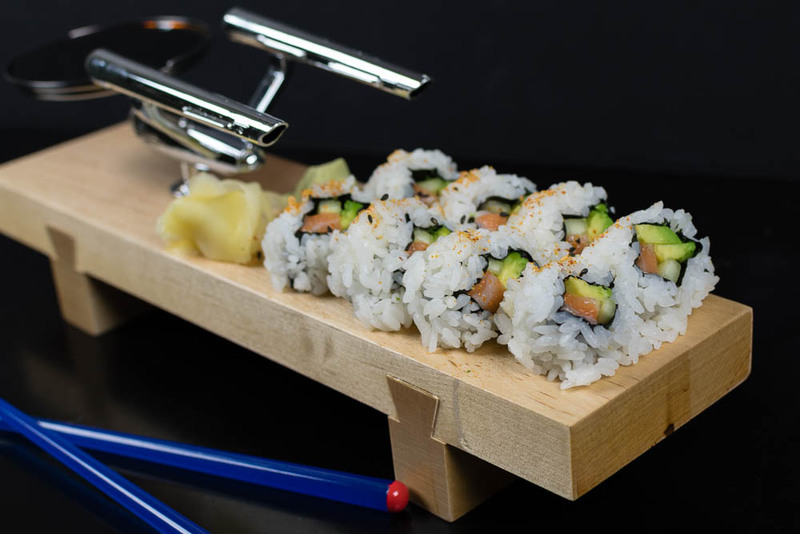 The folks at Comic-Con HQ have generously provided us with this awesome Star Trek Sushi Set to giveaway! All you have to do is enter below! In case you haven’t heard, Comic-Con HQ is an ad-free streaming video-on-demand channel that features an evolving slate of programming including original scripted and unscripted series, recurring daily and weekly entertainment news, commentary shows, a highly-curated selection of film and TV genre titles, sneak previews and special features, as well as unlimited access to live and archival programming from their world-class events, including WonderCon and San Diego Comic-Con. Good luck and happy rolling! 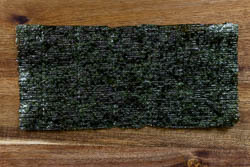 Cut large sheets of nori in half, placing smoother side down. 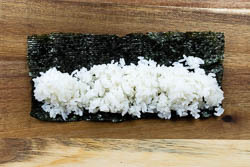 Carefully spread rice across nori. Take a damp rag and moisten your surface. 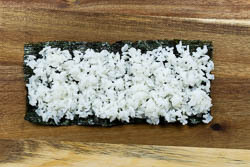 Place nori with rice on the surface rice side down. Place filling in the center making sure the veggies are to the sides of the fish, not on top. 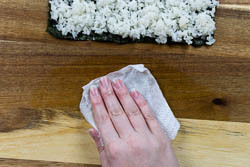 Once filled, start from the top and roll your sushi inward towards you (make sure your hands are wet again). Make sure it is tight. If you didn't use enough rice, you can grab a bit to re-enforce your seam. 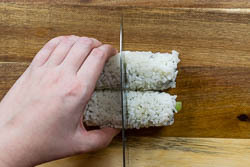 Use a bamboo mat to shape your sushi further (wrapping it with plastic wrap will save time on clean up). Using a sharp knife, cut your roll in half. Place 2 halves together and cut until you have 8 even pieces. *The Geeks created this content in partnership with Comic-Con HQ. Giveaway items provided by Comic-Con HQ. 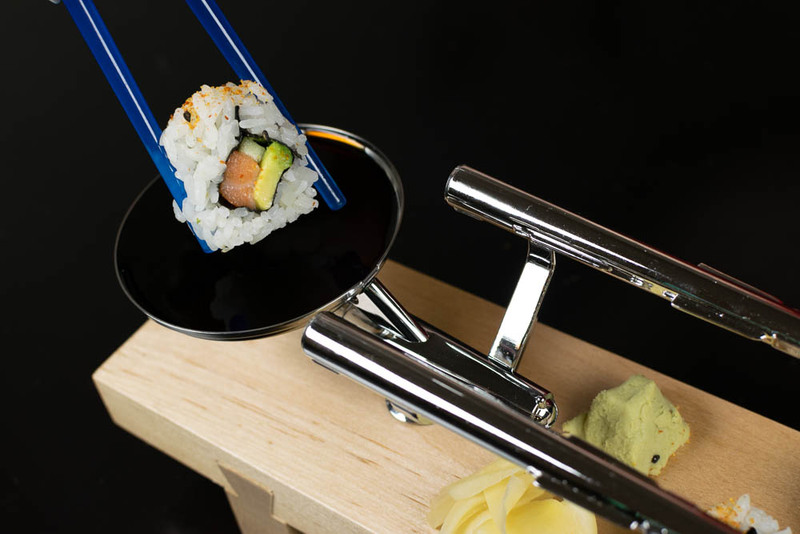 Sushi set used in photos was purchased by The Geeks. All opinions are wholly our own. View our Disclosure Policy for more info. 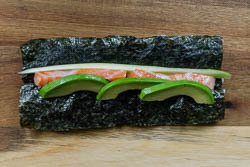 Wow making sushi is so fun looking at your recipe.Never tried it but now I think I can try! We also love homemade sushi! Although we normally just do veggie sushi. Where do you buy your sushi-grade fish? Typically we go to Whole Foods or the Asian market. You have motivated me to try homemade sushi one more time! I can never seem to get the rice perfect. You are my hero! I’ve always been too intimidated to try something like making my own sushi. I have hard enough time cooking rice. Have you considered doing a video of the step by step build? i think the rolling part always looks like tricky.